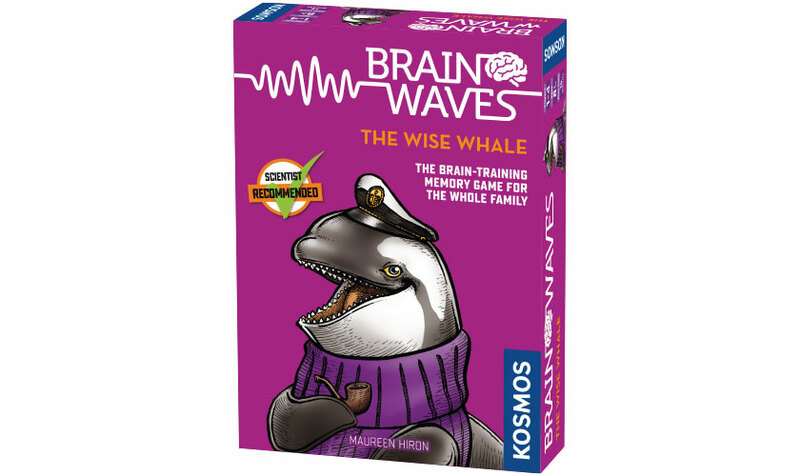 In Brainwaves: The Wise Whale, players lay nine cards showing different colorful sea creatures face down after trying to memorize which creatures are on which cards. 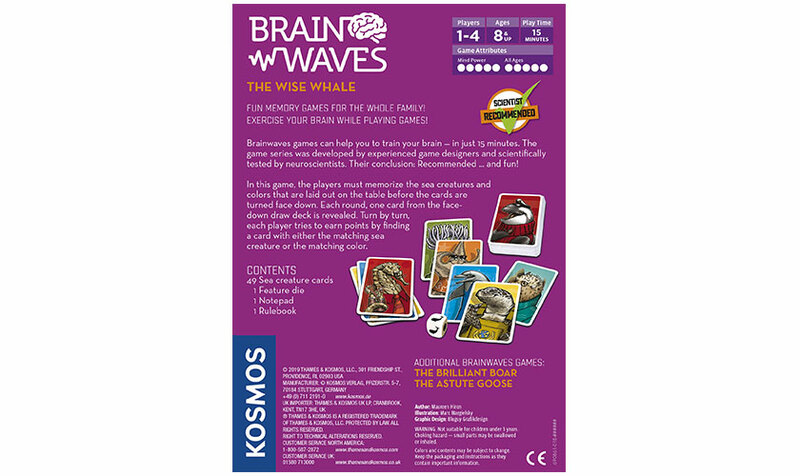 During a player’s turn, they reveal a new card from the deck. Then, they must reveal a card that matches either the creature or the color on this new card. If they do, they claim this card, and then lay out a new card face down in its place. 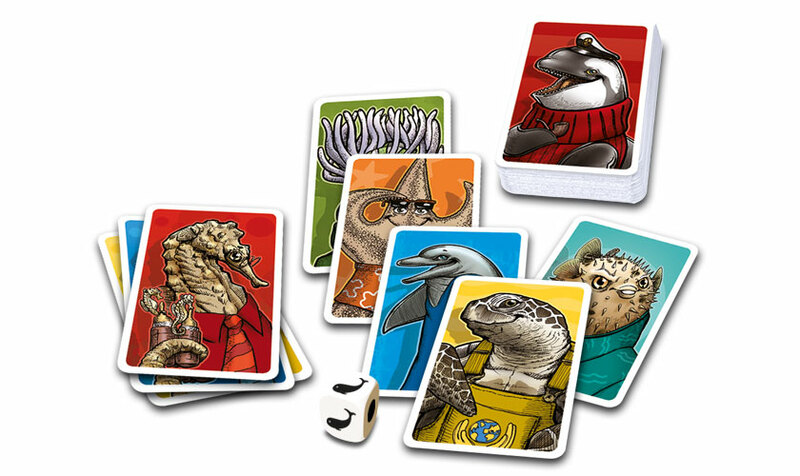 Whoever collects the most cards wins.